This post, 4 tips for managing medical waste at ASCs, first appeared on https://www.beckersasc.com/. Hospitals and ASCs generate about 2 million tons of general, hazardous, radioactive or infectious medical waste each year, according to All Points Medical Waste. Ensure staff members separate and discard all waste materials in accordance with safety regulations. Enlist a certified provider to manage and haul away medical waste. 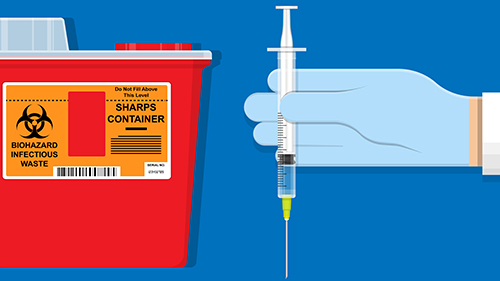 Maintain the proper size and placement of sharps containers, red bags and other waste bins, and make sure they’re not overfilled. Implement a consistent schedule for waste pick-up.